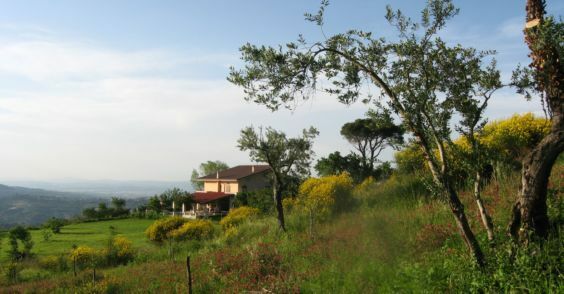 •	Swimming pool, tennis courts and five-a-side courts in a nearby sports centre (10 minutes drive away) The country residence is situated on a hill at 650 metres above sea level, with Mount Tuoro at its back. Numerous trails depart from the residence, allowing guests to explore the surrounding woods, where it is possible to gather blackberries, wild strawberries, asparagus and wild mushrooms, depending on the season. Take the motorway between Naples-Bari, and exit it at Avellino Est. Turn left after the tollbooth, at the roundabout. After 5-600 metres, follow signs for Reggio Calabria / San Mango sul Calore-Laceno. Follow the road uphill for c. 7-8 km, and after the exit for Parolise, follow the road to the right, then follow the sign for Chiusano-Castelvetere-San Mango-Zona Industriale. Do not exit at that point, but, after 5-600 metres, take the second exit for San Mango. After the tunnel follow the road for 1.7 km when you will find on the right a small uphill track with the OTIA sign. Let us know if you have some alimentaries intollerances; we will be happy to build for you a special menu!